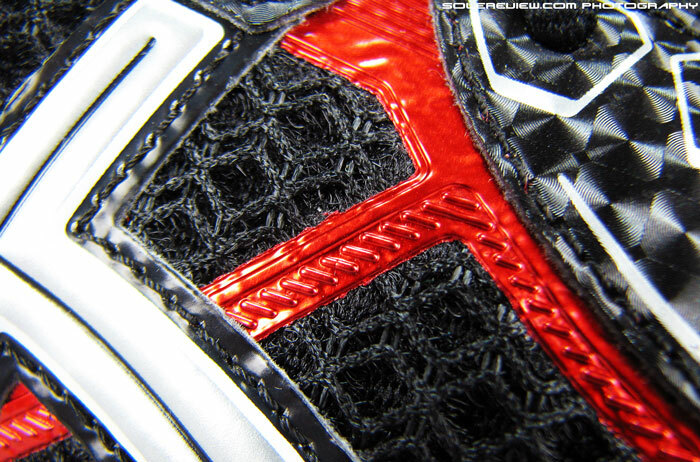 Midsole: Tri-density foam with firmer (integrated) medial post, 10 mm heel drop. Ever wondered where the GT 2170 went? This shoe is its successor. For many years, the venerable Asics GT 21XX series had a loyal army of followers, and it was easy to see why. The shoes were ones where cushioning and stability happily co-habited, and this amicable balance was served in a manner which appealed to most runners. Starting with the original GT 2000 in mid-nineties, succeeding models added a ’10’ number to their name, finally culminating in the 2012 GT-2170. With a running shoe franchise as successful as the GT, the name did carry a lot of weight, loaded with nearly two decades of legacy. So Asics surprised many when they dropped the 21XX name a couple of years ago, and instead chose to rename the 2013 GT version as GT-2000, a throwback to the 1995 originator. A reset of sorts, at least in letter. Name was not the only thing which changed; the evolved construction brimmed with newness. The larger medial dual density foam piece was ‘integrated’ into the midsole, no longer making it as much of an aesthetic differentiator. 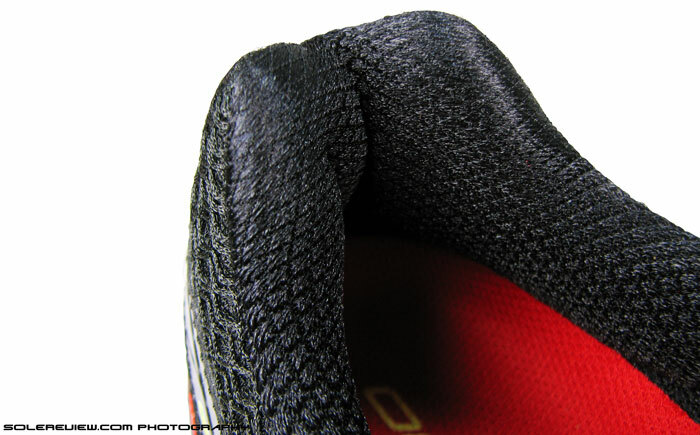 A firmer bed of midsole foam was introduced into the set-up, overlaying the larger chunk of midsole foam. 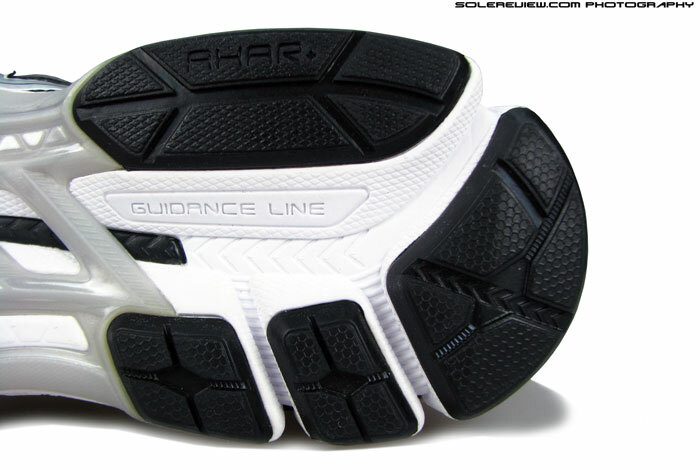 The size of the heel gel pads shrunk too, and the ‘guidance line’ groove became part of the under-sole. The upper design and fit took a few tweaks too in terms of materials and fit. This year’s GT-2000 is actually GT-2000 2. But it doesn’t say that here. With changes as sweeping as this, polarizing reaction from many was a foregone conclusion. But reactions by its very nature are subjective, so outrage and adoption happens in equal measures. Some liked the change in overall firmness and the level of heel cushioning. Others didn’t like either, and switched to other brands. But we’ll tell you this – if you don’t fixate on the changes between the GT 21xx and GT-2000, then the 2K comes across as a shoe very well put together. One that’s frustratingly difficult to criticize, as everything gets delivered in measured doses, be it levels of cushioning or stability. Forefoot is snugger on outer side than inside. GT 2000 V2 is the successor to GT series’ first reset, and in an evolution very characteristic of Asics, the updates are incremental in nature. The only noticeable change is in the forefoot, where there’s an interesting duality of fit. The outer forefoot feels a little snugger than GT 2000 due to the change in upper patterns, while the medial side feels slightly more roomy. 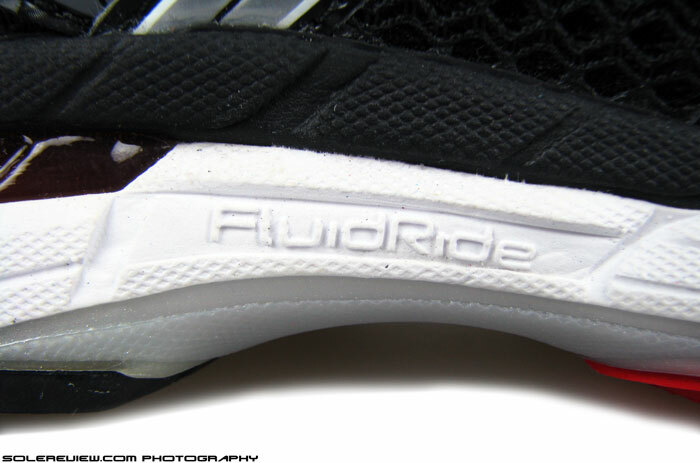 The firmer midsole liner sees some exposure along the ‘guidance line’ on the outsole, something which wasn’t there in last year’s GT, but the ride behaviour is more or less identical. 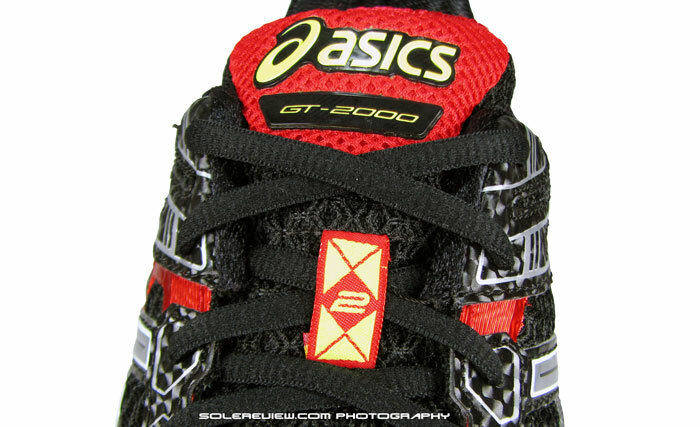 There was molded plastic in form of a heel clip on the GT 2K, but that’s gone in the present version. No harm done there either, as the internal heel counter is quite stiff and lives up to its functional expectation of providing rear-foot support. A few runs in the GT 2000 2, and one starts questioning the purpose of the much expensive Kayano 20. The $120 priced GT-2000 2 uses upper materials equal in plushness to the Kayano 20, the fit is actually better, and overall ride more consistent. At the same time, the overall package widens the gap between it and the $100 GT 1000-2, much more than what the mere $20 price difference would seem to suggest. On its own merits, the GT 2000 captures the sweet spot in the Japanese brand’s ’structured cushioning’ segmentation. Simply put, that place happens to be between the overtly soft Kayano 20, and firmer GT 1000-2 (which also has a tacky build quality). The GT is packed with premium materials, and looks as much. The spacer mesh used here is two-layered, spongy type. The GT-2000 2’s upper blends plush and support by means of a spongy spacer mesh and an interconnected networked of stitched-on and welded overlays. The air mesh uses no lining ahead of mid-foot, which helps ventilation and flexibility. It is also roomy in the forefoot, with nearly a half size gap ahead of the toes and space on the sides. Due to welds and synthetic leather overlays going on the outer forefoot, that side is snugger than the inner side. 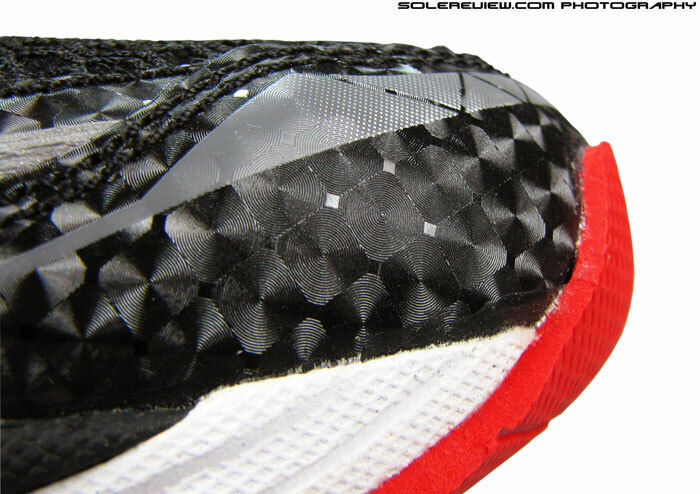 The side of bigger toe has relatively open spacing covered by mesh, so it feels roomier. Traditional lacing, no Hocus Pocus here. Lacing pressure feels, well, regular. There isn’t a fancy lacing set-up in the GT, only the good old way of passing soft cords through holes punched in the upper on either sides. The outcome is predictable. Laces are tied together at the tongue top, so top down pressure is highest there, gradually slackening down along the front slope. The overall mid-foot fit is snug, no loose spots. Tongue is generously padded, soft to the touch, but is not attached to the upper. But you know what? It doesn’t slide. 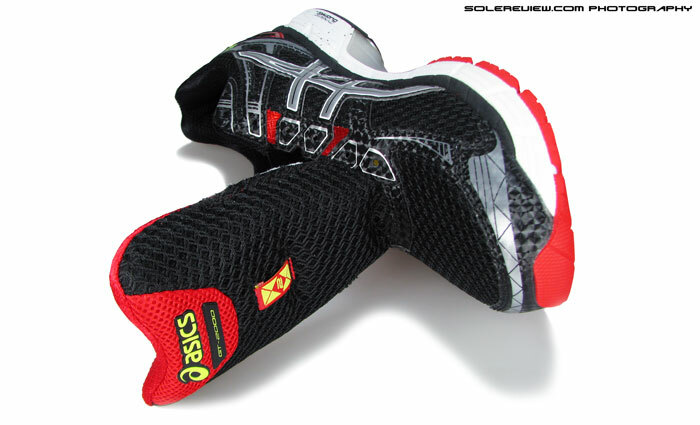 Tongue is a traditional type, attached only to the front of the shoe with no sleeving, typical of most Asics shoes. It is thickly padded, and uses the same lining mesh as the 2012 GT 2170 and last year’s GT 2000. Good call too, for the tongue sits plushly (and snugly) on the foot. What ceases to amaze us that the lack of a sleeve construction doesn’t seem to have any detrimental effect whatsoever, and the tongue stays securely put and well behaved. If this were a Nike shoe, the tongue would have slid on its side after the first few hundred yards. We’ve talked about this in our Gel Kayano 20 review – use of softer materials and a curved tip helps control sideways movement and helps keep the tongue centered. Heel area looks minimal now, with the external plastic clip (of last year’s GT) gone. Collar lining is plush, and well padded. Grips very nicely. The heel area has been cleaned up. The external (plastic) heel clip is gone, and in its place is an internal molded piece. The collar lining is soft fabric and behind that is ample foam stuffed in. This makes collar grip one of GT-2000 2’s stronger points, and it was evident when we were doing a comparative wear-testing with the Nike Lunarglide 6 thrown in. The GT collar reassuringly wraps the neck of foot with a sensation of uniform fit and feel, an area where the LG6 was found wanting. Midfoot panel is a combination of molded synthetic leather and welds. Fits well too. A close-up shot of those fused things. Trim quality on the GT-2000 2 is of high quality, befitting its $120 sticker price. The synthetic leather has a comforting gauge of thickness, with a whorl like texture adding dimensional depth. It has a molded surface in lateral mid-foot while it is printed on the toe box and inner mid foot; and in this particular colorway, shiny red welds snake their way around. Must say it makes for an alluring combination. Reflectivity is imparted by means of small strips on the toe-box and the heel. Not spectacularly dazzling, but will do for the occasional gloomy day. The GT-2000 2 sole has five pieces of components – the top (firm) layer, external heel Gel pads, internal forefoot Gel, main mid-sole foam and plastic shank. Heel is hard rubber, and the ‘breakaway’ crash pad makes for cushioned landings. Everyday usability is what the GT-2000 2 is all about. The combination of tri-density midsole foam, Gel pads and outsole rubber comes together in an easy-going package. Heel cushioning is instantly noticeable on foot strike; the separate crash pad and external heel gel units make sure of that happening. From there on, there’s a certain consistency in cushioning feel, made possible by a soft foot-bed placed over another few millimeters of EVA strobeling. 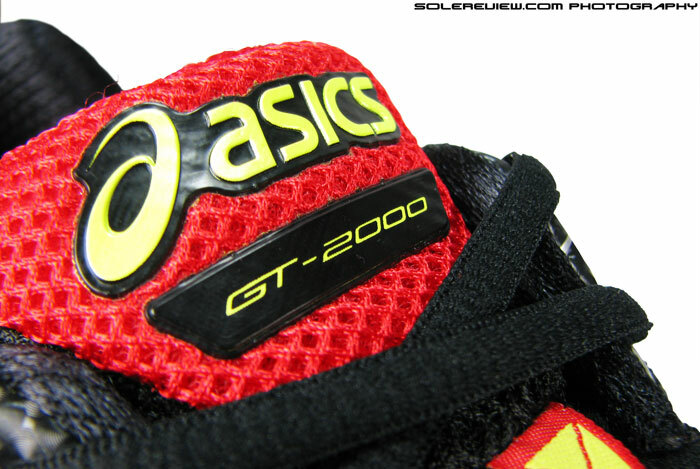 The tech specs for GT 2000 points out that there’s a forefoot gel pad, but its existence is hardly felt. 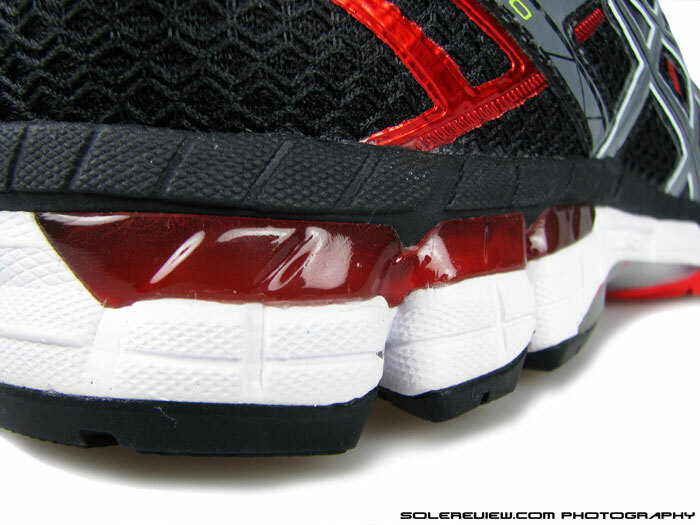 It must be a really thin layer of Gel, so forefoot loading is devoid of any heightened cushioning feedback. What remains true though, is that the forefoot just feels adequately padded with good ground feedback and that’s that. We’d like to stress that the heel feels cushioned without being mushy – the external Gel pads delivers ample compression, but that is filtered through layers of firmer midsole material. 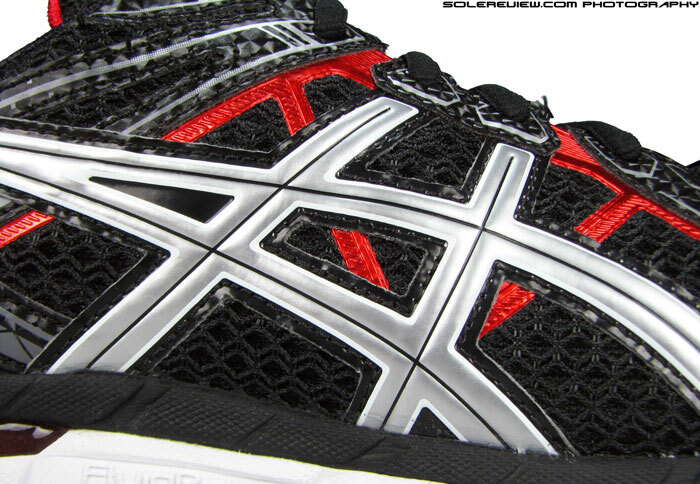 The dual-density foam is now compression molded together with rest of the midsole. Progressive weight loading from heel to toe during each gait cycle is an uncomplicated affair. 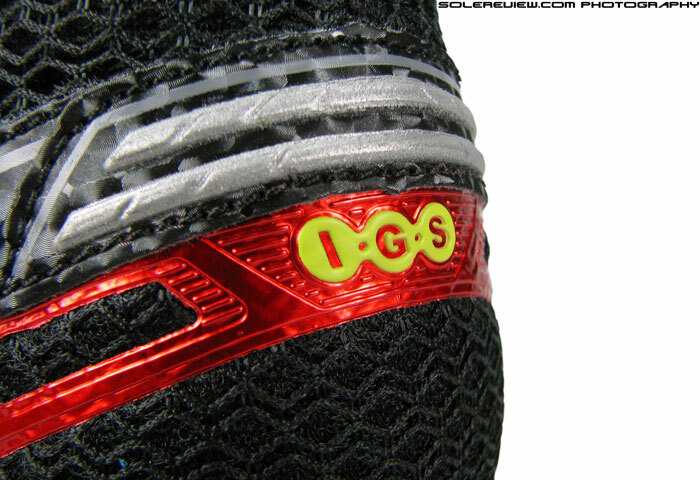 There’s a singular top layer of firmer density midsole foam (introduced in last year’s GT 2K, remember? ) which gives the transition a consistent feel. There’s a slight disconnect when the foot goes over the mid-foot; we’re assuming this is because of the gap beneath the plastic shank. Hence we wonder whether the transition could be improved by introducing a filled-in area like what Brooks and Nike have done. But still, straight line tracking comes across as good in the GT-2000 2. There’s an integrated firmer density foam piece under arch (named as scientific sounding ‘Dynamic Duomax’ by the suits in Kobe), but there isn’t much of a difference in hardness between it and rest of the midsole. As an outcome, at no time does it feel as if your foot is sinking on the outer side ( Structure 17) – what one gets instead is a stable ride which keeps the foot tracking straight. And yes, there’s a ‘Guidance line’ on the outsole, a depression (groove) which runs from heel to toe and helps keep the weight lowered. Outsole design language is similar to other Asics models. Large chunks of rubber separated by flex grooves. Forefoot is blown rubber, softer than the heel. Helps with grip and cushion. Outsole grip is better upfront than rear due to the presence of softer blown rubber which aids not only traction but serves as the final layer of forefoot cushioning. The now familiar Asics outsole design splits the rubber pieces into multiple parts, so there’s plenty of exposed foam and grooves. It’s then a no-brainer that flexibility is good. Out there in the back, the GT uses hard carbon rubber which is durable enough, from what we seen in Asics shoes all these years. Large gaps between the swatches of rubber helps keep the weight in check too. The GT 2000 2 comes in at 11.7 Oz/332 gms for a medium width US 11, which is within limits for that category. We actually benchmark weight against a median of 350 gms, though that might change, looking at recent frenzy of mesh and foam lightness. Summarizing the GT-2000 2 isn’t that hard. It is not the same shoe as 2170 but still a jolly good replacement. If you’re looking for a running shoe which offers moderation both in cushioning and stability, you’d do well to include the GT in your list of probables. It is also very well made, and offers more price-value than the $160 Kayano 20 or even the cheaper GT-1000 2. I am currently running in the Asics GT2000 2 and really loving them. Previously, I ran in Nike Structure 15s but I’ve heard that the Structure line has decreased in quality as of late. What Nike shoe would you say is most similar tot he Asics GT 2000 2 and the Nike Structure 15s? Those have been my favorite shoes so far but I’d like to possibly switch it up a bit in the future. We think you should wait up for the Structure 18 due in October. We’ll be reviewing that shoe soon – hopefully in the next two weeks. The upper has improved vastly and there’s a tri-density midsole. We’re throw in a quick comparison with the GT-2000 2 (and later the GT 2000 3) in the review. Hello, great review! I wanted to know if this shoe is similar to the brooks ghost 6. I am currently doing speed workout in my lunaracer 3s and everything else in my ghosts. I got shin splints for the first time in a long time and I think it was the overlysoft lunaracers- I like my ghosts and was wondering if it is the same, firmer, or softer in cushioning. And I have also heard that asics gel loses it’s cushioning in colder weathers….is this true? One last thing 😉 -asics gt 2000 or adidas glide boost? The Ghost 6 is more cushioned overall, and it delivers that uniformly. 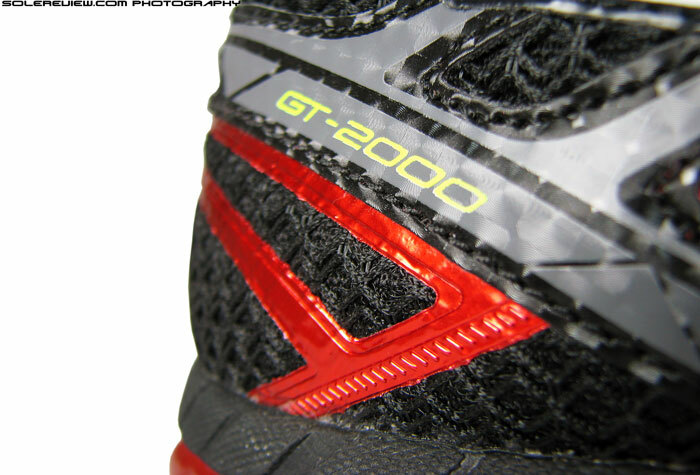 The GT 2000 has a firmer medial post, so cushioning is felt more on the lateral (outer) side. As far as we know, Asics Gel is based on Silicone rubber, and the weather has to be really, really cold for Silicone to become brittle. We’re talking at least zero farenheit. It fares much better than compounds like Nitrile rubber, which is the base for Nike Lunarlon. Two different shoes, but we’d choose the Glide Boost. I have very low arches, nearly flat, and wide feet. I ran in neutral and stability shoes. Brooks Radius 2005 – hurt my feet, but my first pair ever. NB 766 2005 – 1st pair I ever bought. Lasted me a long time, loved this shoe. Nike Cesium – mistake. Loved the concept but the D width didn’t fit me. Brooks Beast 2006 – I somehow ran 500 miles in this shoe but it did hurt my feet sometimes. Brooks Dyad 5 – I ran in this shoe for a while. Liked the fit but felt too cushioned. Do you know of any shoes that match the NB 766? Need 2E. It was such a bland looking shoe but I loved that,unlike the whacky shoes coming out now. Unfortunately, we haven’t had the experience of wear-testing the NB 766 so won’t be able to suggest fool proof alternatives. 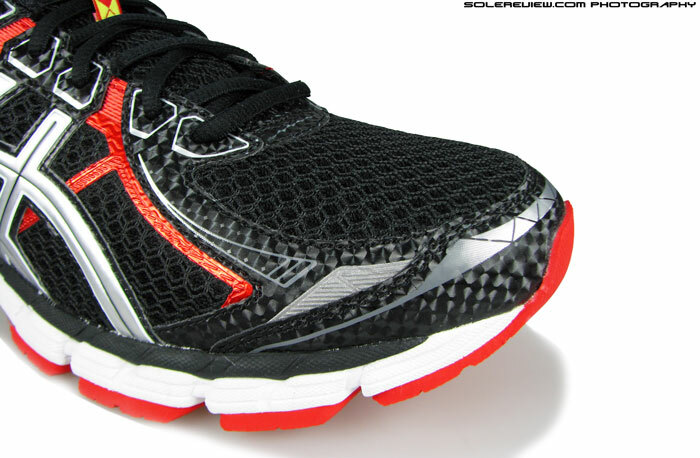 However, looking at the 766 pictures, Brooks Adrenaline GTS 14 could be worth a shot – but this is purely speculation, we could be wrong. Great reviews, would these shoes support a mild over pronator with a medium arch? Should work, as they are designed for the runner profile you’ve described. But since there are so many variables with regards to running style vs. shoes, the only way to find out is to put some hard miles on them. I’ve been cycling my GT-2160 and GT-2170 for my long runs, trying to get as much mileage out of them as I can before I look for a new alternative. I tried the Brooks Adrenaline GTS 14, but I found it too stiff and it didn’t have the right amount of forefoot cushioning I wanted. I have orthotics to help correct my overpronation and I am flat footed. I want to stay with Asics and have been wondering about this pair. How does the forefoot cushioning compare to the 2160/70? Is the drop about the same? Also, does the sockliner last longer? Both my GT-2160 and GT-2170 have the sockliner nearly all worn out at the heel. Also, I’ve been looking at the Saucony Ride 7. I’m just looking for a worthy replacement to my GT-2160/70 and have yet to fine one. Sorry for the delayed reply, Anna. It’s been a while since we’ve had a go in the 2170’s, (and we don’t have it anymore) but from what we remember, the GT-2000 2 felt closer to it than GT 2000 1. Don’t know what the drops compare, and can’t comment on sockliner durability, since we didn’t have the 2170 for long. The forefoot cushioning is closer to 2170, though we perceived the 2000’s softness to be slightly lower. Our upcoming review of the new GT 2000 3 and Saucony Guide 8 is due to go online this month, and either of those shoes could be an option for you. My wife has been running in Nike Pegasus 31 for few months and just bought Asics GT 2000-2. After couple of runs, this is what she feels. The sole is high profile in the sense that she feels taller, the foot roll is slightly restricted (probably because 2000 is for motion control and Pegasus is neutral), weight is nearly the same, fit is more snug (maybe because it’s new). I own a Cumulus 16 and feel that 2000 is better to look at. Just that the finish is better. Heel heights are more or less the same across, but since the Pegasus has more squish, it would have the GT feel higher. I um trying to decide which shoe to buy and I am a bit confused on what to choose. However, i have some long runs coming including 2 to 3 marathons in 2015 and I, not ebing a speed freak, wnat to do them in confort so I believe ( and correct me if i am wrong) a cushioned shoe is needed. I was decding between the Kayano 20 and GT 2000 v2 but I was advised that Kayano model are intended for persons with more weight then i am. I am 1.65cm and 60kgs ( 5.41 feet and 132pounds) so I was advised to go to GT2000 v2 that was more then enough. As for pronator I don’t have very much of this problem. Maybe just a little and I was advised that even having very litle overpronation, in long runs it can become more severe so there is no problem to use a shoe with some support. So just to finish and would like your opinion in waht type of shoe you thnk is more suitable for me? Kayano20, Gt2000 v2, anything else? 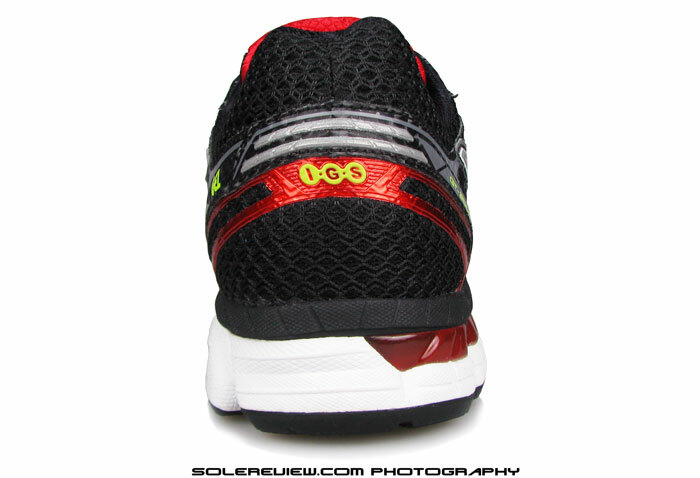 And if you want to go the Nike way, then the Pegasus 31 is another option, but with a shallower toe-box. I can buy the new kayano 21 but i’ve saw in a previous comment here that the difference of price between the 20 and 21 does not justify the “performance updates” that the newer model has. Comments? Also the weight issue? For 60kgs of person Kayano isn t too much? Sorry for all the questions on this. Just want to clarify some doubts before buying. Thanks again and happy new year. We believe that our answer to that comment was based on a comparison between a discounted Kayano 20 and brand new Kayano 21. Not sure if that is true for your case, and besides, your question was purely based on functional requirements, not price. The Kayano 21 is a softer shoe than 20, so should do ok for your body weight. However, please try them on first before deciding – you’ll get a much better sense. I’ve gone ahead (and excuse me for not following your suggestion) and bought a pair of Asics GT2000 V2. This was mainly because they were a t a very god price and I have read good reviews about it. This was a bad choice for me. I have runned about 32 miles with the and this weekend I am going to use the shoes warranty to try to replace them for another model. Since I have used this I have started to feel pain on my calfs. Not horrific pain but a big disconfort that makes me stop my running. Even on treadmills the disconfort appears. This really annoying and upsets me a lot because i have the Sevilha Marathon on 22/03 and no cushioned shoe to run it. I have put my Nike Structure 18 again and went out yesterdat for a 10 mile race and no pain at all. So waht can be wrong with this? Structure 18 is for pronation and so the Asics so I beleive that this is not the issue…. If you have a marathon coming up, and don’t want to upset things, might be a good idea to stick to the Structure 18 for now. Not all pronation control shoes are the same, their behavior depends on the brand and model. And the GT-2000 2 and Nike S-18 are quite different, actually. Our recommendation for the shoe won’t change from what we suggested earlier. Would also be helpful to include physical conditioning and strengthening exercises in your routine to make your lower body injury resistant, if not already doing so. Hello again, I picked up a pair of these this week after reading your positive review. They strike a nice balance between my super squishy Nimbus 17 and lighter Adidas Boost 2.0 ESM and Nike Pegasus 31. I’m trying to figure out if the insole is the same as the one in the new Nimbus 17? It looks identical but I have a feeling they are different. I’m thinking of swapping insoles to make the Nimbus less soft and the GT2000-2 and little softer. Love the website and the reviews- and super excited for future reviews of Saucony Ride 8 and Brooks Ghost 8. Nice choice of color there. Love that one, so picked the same combination for our review. 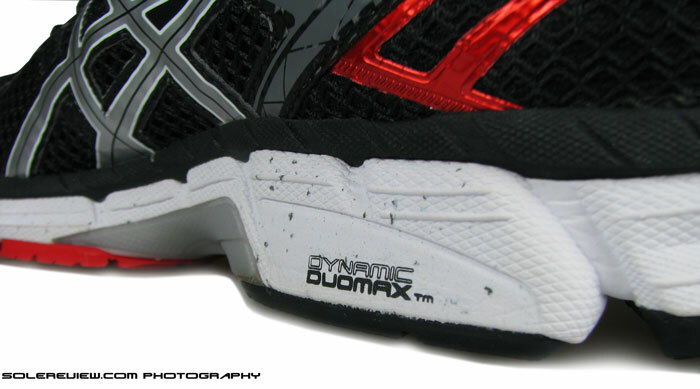 The Nimbus 17 insole is softer than what’s in the GT-2000 2. Yes, putting these inside the N-17 will firm them up a tiny bit. No news on the Ride 8 or Ghost 8, but guessing we should have a review up next month or latest by July. We haven’t tried all Mizuno shoes, but we felt the Inspire 11 (surprisingly) to be the most cushioned. Thx for the feedback and info. I had to track this color down from an official seller in Taiwan but it was worth it as black is my fave color in running shoes (not to mention hides the dirt better!)…. Will try swapping out insoles as suggested and looking forward to your thoughts especially on Ride 8 since you gave the 7 such a high score. I haven’t owned Mizunos since the Mizuno Wave Rider 11 (2008) but am curious to give them another go- love the build quality on them. Speaking of Wave Rider, we reviewed the 18th version recently. But somehow the Inspire 11 managed to feel more responsive and cushioned. 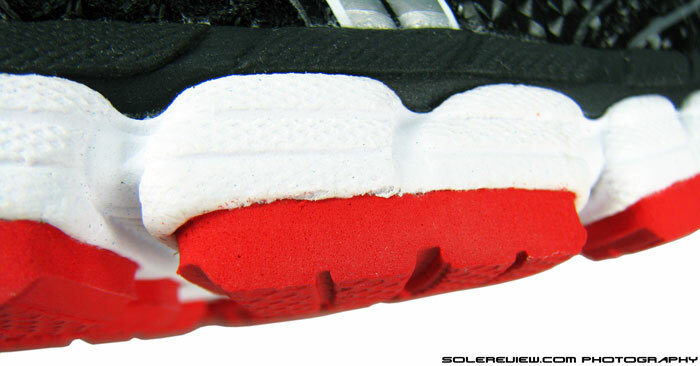 You’ll need to manage expectations on the insole swap because the quantum of difference will be very small! Thank you for the info- interesting! How does the GT 2000 2 compare with the GT 1000 3 in terms of feel/cushioning, material quality, and any other differences you notice? I currently have a pair of GT 1000 3 as an everyday walking shoe, and was wondering if the GT 2000 2 would add that much more if i were to choose it as a runner. The GT-1000 3 is a firmer shoe than the GT-2000 2. And as befits a lower priced shoe in Asics’s line, the materials used feel less refined than the GT-2K. But your cushioning needs and material quality perception might differ from ours, so best to try the shoe on and assess for yourself, while using our opinion as one of the reference points. I never ran before but I’m thinking of starting and giving it a try. I weight about 160 pounds and feel my feet tend to roll inward. Do you think this show would be good for a beginner? The price is really good right now because of GT 2000 3. Dani, it depends on what shoe’s currently working for you. As a standalone shoe, the GT2000-2 has adequate cushioning and support.